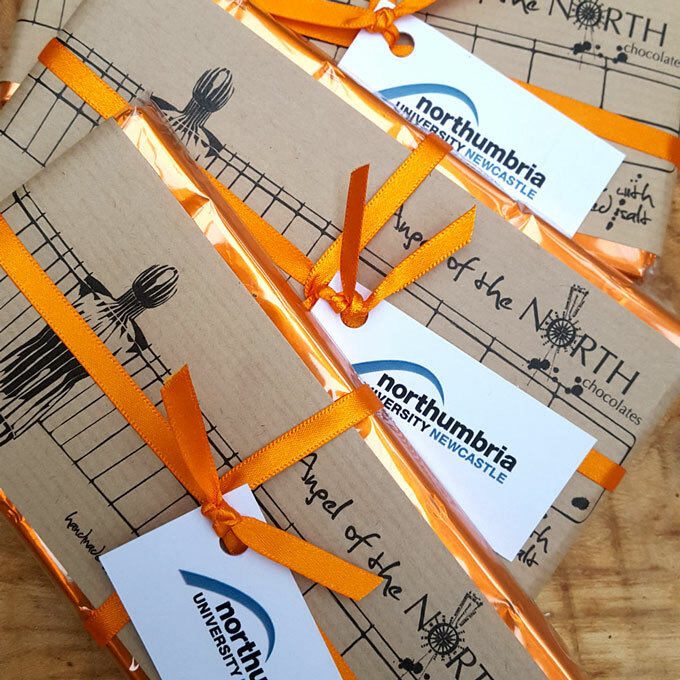 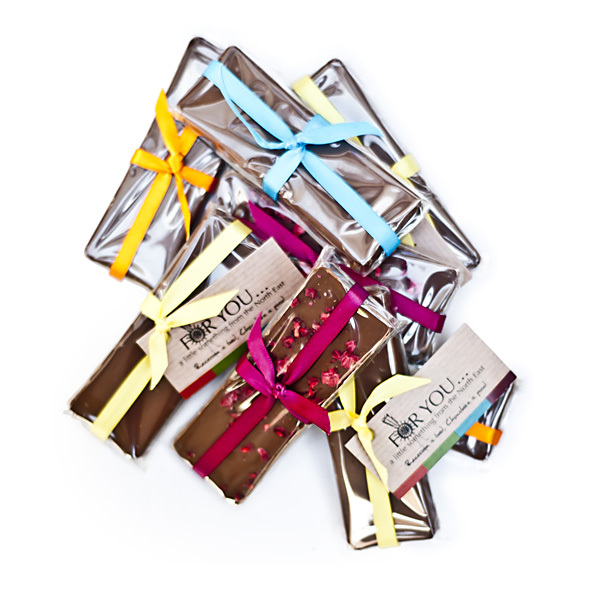 It’s sometimes very difficult to know how to show your appreciation to your staff or special clients – so may we suggest one of our artisan gourmet chocolate bars, mini bars, chocolate novelties or bespoke hampers?! 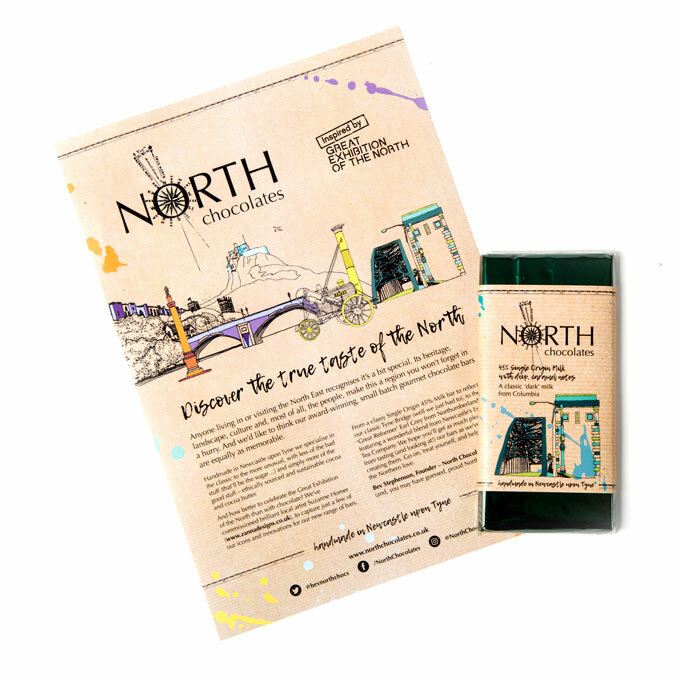 Choose from the classic to the more unusual in dark, milk or white and we can add your logo and branding colours to add that special Northern touch. 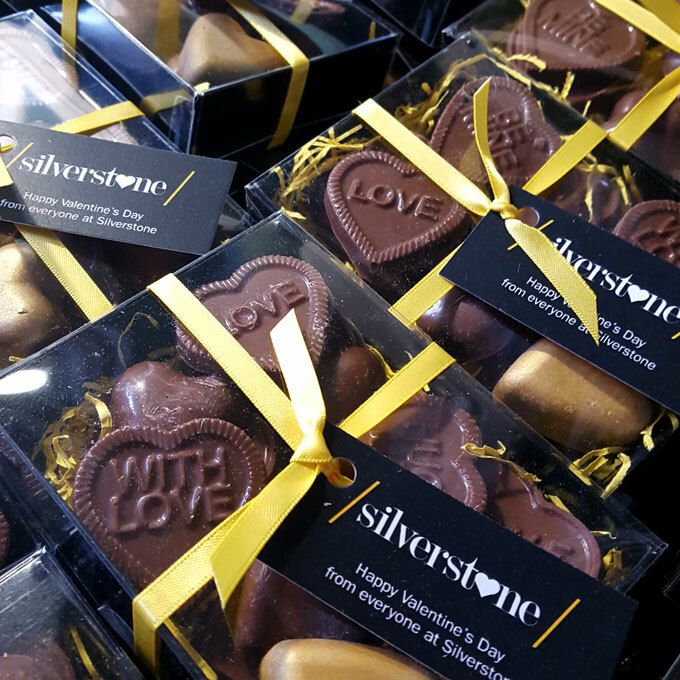 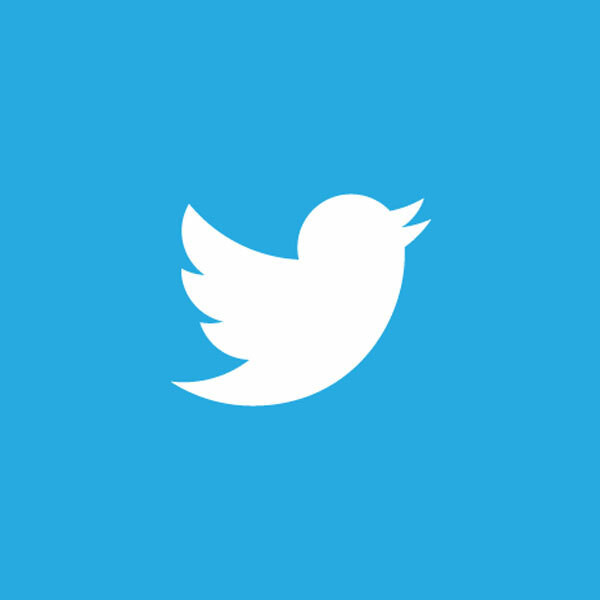 For events, marketing initiatives, gifts or just as a little Friday pick-me-up, please give us a call to discuss further.